There is no Premier League action this weekend due to the the start of the Euro 2016 qualifiers. Roy Hodgson and his England squad travel to Switzerland for their opening group match. 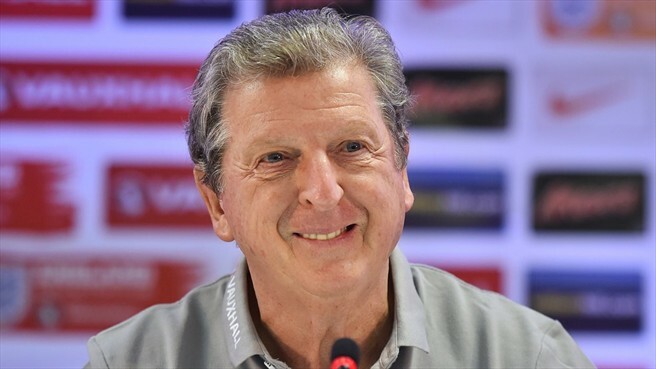 England are the 8/15 favourites to win Group E despite their abysmal performance at the 2014 World Cup in Brazil. Their opponents Switzerland are the 3/1 second favourites to win the group which immediately suggests what an important opening game this is for both sides. Switzerland are the slight favourites to win the match which is very fair in my opinion given England’s recent form. During the World Cup England were knocked out in the group stages after losing against Italy and Uruguay as well as drawing 0-0 with Costa Rica. Switzerland on the other hand made it to the knockout stages after they finished 2nd in their group by beating Ecuador and Honduras. In the following round they faced Argentina where they performed very well keeping the best player in the world Lionel Messi very quiet however Switzerland were undone by a 118th minute goal scored by Angel Di Maria who had an outstanding tournament, Argentina went onto lose in the final against Germany. Just a week ago Wayne Rooney was given the honour of captaining England by manager Roy Hodgson after the retirement of Steven Gerrard. On Wednesday evening Rooney led the team out as captain for the first time as England played Norway in front of a record low crowd at Wembley of 40,181. The match was far from a classic as England managed just two shots on target throughout the game despite dominating possession. Rooney did make the breakthrough after 68 minutes when he coolly slotted home a penalty won by Raheem Sterling. This goal took Wayne past Michael Owen in England’s all time goalscorer list and up into 4th position. Raheem Sterling – It was not all doom and gloom for England as Raheem Sterling once again showed what a promising young talent he is. Raheem was named man of the match for the third time this season and deservedly so after looking very lively throughout the match and causing the Norwegian defence a few problems. The talented Englishman has started the season well once again scoring two goals in his opening three games and has a very bright future ahead of him if he keeps his head down and works hard. Fabian Delph – Aston Villa’s Fabian Delph was handed his first England Cap on Wednesday evening by Roy Hodgson after an impressive start to the season. Delph came on for the final 20 minutes of the match replacing Jack Wilshere. He impressed many including myself after he upped the tempo of England’s play and moved the ball quickly. Personally I think Fabian could be a big asset to this English side which is lacking in midfield. If the 24 year old can impress Hodgson in training this week I cannot see any reason why he won’t feature regularly for England in the coming years. Ricardo Rodriguez – Rodriguez is an attacking left back who currently plays for Wolfsburg in Germany during the summer he has been linked with moves to Liverpool and Manchester United however a move did not materialise for the Swiss international despite having a brilliant World Cup. During the 2014 World Cup he looked a real threat going forward and assisted two goals during the competition. This was no surprise as Rodriguez did the same whilst playing for Wolfsburg in the 2013/2014 season, he played 34 games scoring five goals and assisting nine which shows what a threat he is going forwards.